I had the privilege of creating this artwork for a friend. 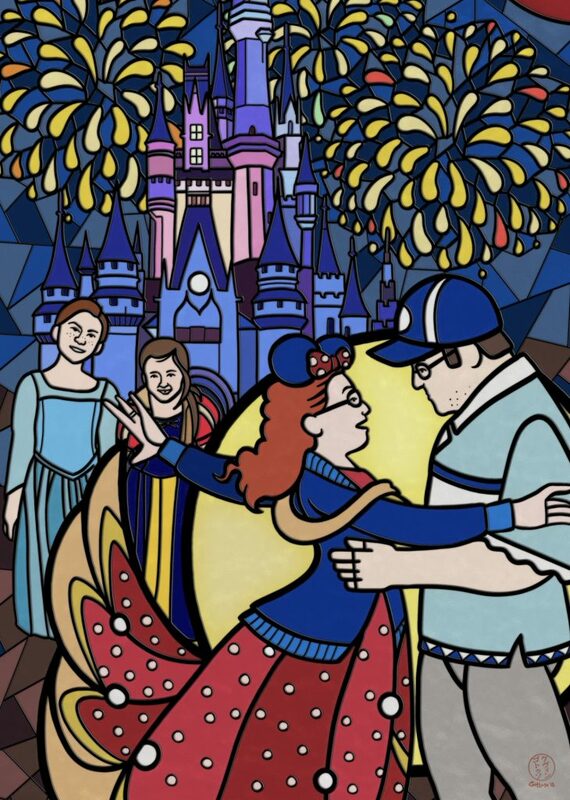 The wedding is a Disney and Penn State theme, so we recreated her proposal in a Beauty and the Beast stained glass style. 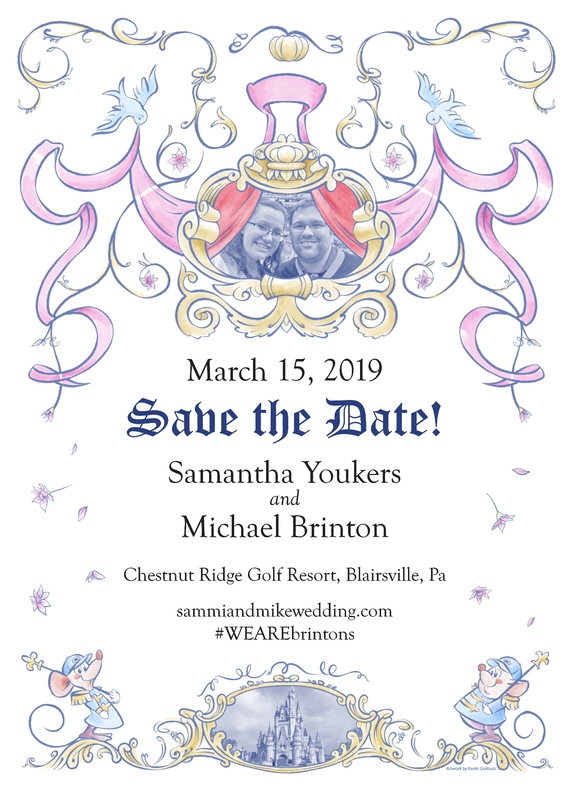 The back is a recreation of the Cinderella ending. The Penn State references are sprinkled throughout and there is plenty to detail to get lost in.